Hyundai is killing the free iPad owner's manual shipped with each new Hyundai Equus luxury sedan after just a year, despite it being the only thing Hyundai ever talks about when they advertise the car. When Hyundai was first trumpeting the car's unique feature we remember hearing a lot about how ground-breaking it was, and how well it fit with the car's value-and-style approach. What we don't remember hearing a lot about was it being a one-year-only promotion. There's no reason given for why they did it, other than Hyundai America CEO John Krafcik telling USA Today that "We got a lot of mileage out of it. People are talking about it." This seems like the equivalent of saying "Hey, know that nifty thing we did for our first customers? We're not doing it anymore because you now know the car exists." 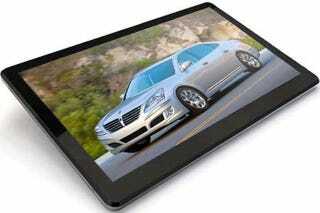 Equus owners will still be able to download the app for the iPad, but it's strictly BYOiPad. I can't believe Jeff Bridges would mislead us so. Dude. Not cool. We totally do not abide.